Sonia quells Bihar rebellion: will Congress now listen to the demands of its state unit? The bitter experience of the recent Gujarat Rajya Sabha elections has forced Congress to undertake corrective measures to ensure that rebellions within other state units are nipped in the bud before things get out of hands. It was in this context that Congress president Sonia Gandhi met with Bihar state unit chief Ashok Choudhary and Congress legislature party leader Sadanand Singh to iron out differences that were threatening to create a split within the state unit. Sources within the Bihar unit have confirmed that Choudhary's plans did not materialise since many MLAs supporting him developed cold feet and decided against quitting the party. They further added that the meeting has, for now, put all speculations of rift to rest and that the decision to replace both Sadanand and Choudhary is being discussed by the high command. Apart from these two leaders and the Congress president, the meeting was attended by senior party leaders Ahmed Patel, Ghulam Nabi Azad, Bihar in-charge CP Joshi, among others. The Congress source went on to add that during the meeting, Sonia and other senior leaders also spoke to Sadanand in private to discuss the situation. 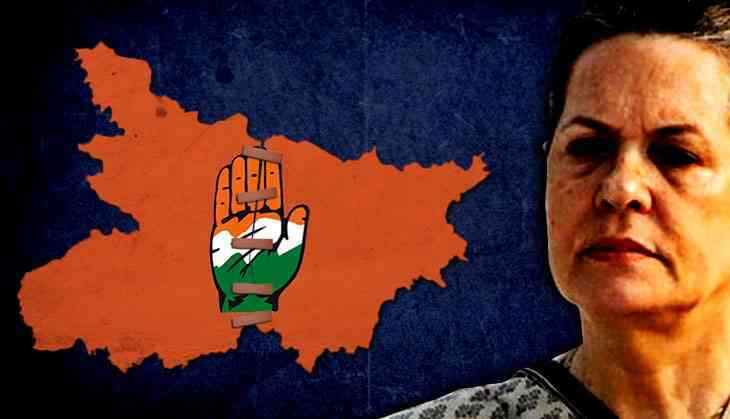 “Some of the MLAs wrote to the Congress president on how Choudhary was conspiring to create a rift in the party. He along with support of some of Congress legislators, including those of JD(U) who won on Congress tickets, were planning to quit but the party high command was informed about it in advance. It was for this reason that an emergency meeting was called by the Congress president,” said a senior Bihar Congress leader. According to him, Sonia's intervention was crucial in quelling this rebellion and that the party unit is ecstatic that their plea of removing Choudhary is finally being considered. Ever since reports of rebellion began trickling in, Congress leadership took serious note of it and dispatched senior leaders from Delhi to take stock of the situation. Earlier, senior Congress leader JP Agarwal and Congress' chief whip in Lok Sabha Jyotiraditya Scindia were sent to Patna to report about the developments in the state. Interestingly, Joshi was not part of this delegation, which suggests that the party needed a fresh perspective. Meanwhile, Agarwal and Scindia held meetings with several leaders, including party legislators, to understand the situation. Sources claim that they were informed about the differences within the state unit and that several state leaders blamed Choudhary for the mess. On their return, the two leaders shared the feedback with the party high command, who, sources said were extremely worried with the developments in the state. Thereafter, a faction of Congress leaders led by Choudhary decided to miss RJD boss Lalu Prasad Yadav's opposition unity rally in Patna, further fuelling rumours of rift in the party forcing Sonia to intervene. In fact, several state leaders pitched for Choudhary's removal, a long standing demand of the state unit. Ever since Choudhary was made a minister in the grand alliance government, Congress' Bihar leadership has been raising the issue of how the state president had been ignoring organisational duties and needs to be replaced. The state leadership had also raised concerns over Choudhary's growing proximity to Kumar which they at felt could be detrimental for party's unity and growth in the state. Ever since Bihar Chief Minister Nitish Kumar left the grand alliance to form government with support of BJP, there were strong rumours of Choudhary trying to split the party in a Vaghela-like fashion. As reported by Catch earlier, Choudhary, who is considered particularly close to the Bihar Chief Minister, was in touch with several party MLAs trying to persuade them to quit the party and join JD(U). “Choudhary was planning a Gujarat-like coup in Bihar and was conspiring with other party leaders, including Singh, to quit the party and join JD(U). But some of these MLAs being lured by Choudhary felt that they would not be treated fairly in JD(U) and decided against it,” said the source. Meanwhile, there is buzz in Patna that Choudhary's successor could either be a Bhumihar, Dalit or a Brahmin and those running for the post include Prem Chand Mishra, Akhilesh Singh, Ashok Ram, Vijay Shanker Dubey and Kishor Kumar Jha. It is also believed that since the party is in alliance with RJD in the state, it would be difficult to secure upper caste votes and it is for this reason that an upper caste could be given a chance to woo this segment. “If that happens, Congress, which is like B-team of RJD could work towards reviving its lost glory. Also, the alliance with Lalu should be considered again since corruption cases against him could portray the party as one backing corruption,” said a Bihar Congress leader.